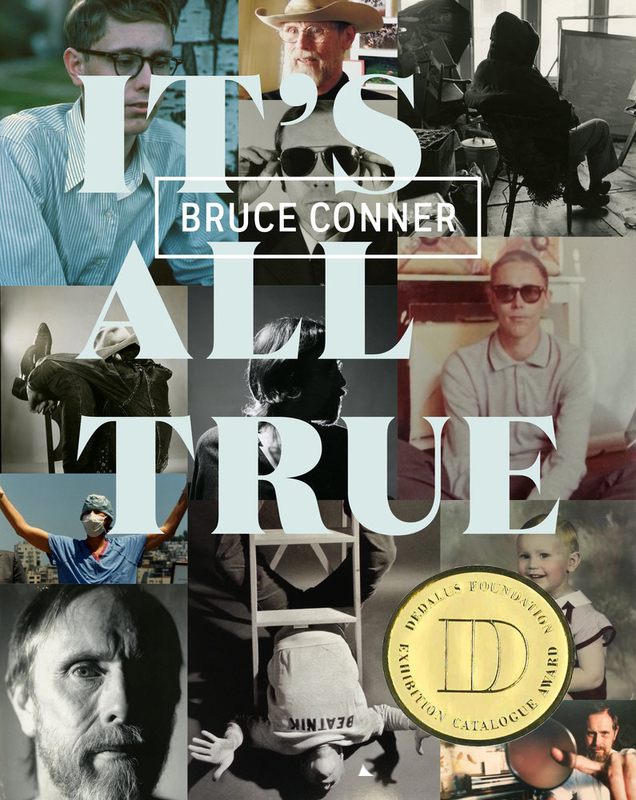 The exhibition catalogue Bruce Conner: It’s All True, edited by Rudolf Frieling and Gary Garrels has received the 2017 Dedalus Foundation Exhibition Catalogue Award. A distinguished jury composed of Susan Davidson (Solomon R, Guggenheim Museum), James Leggio (Brooklyn Museum), and Katy Siegel (Stony Brook University) presided over the award. Published in conjunction with Bruce Conner’s (1933–2008) first comprehensive retrospective, the historic exhibition catalogue Bruce Conner: It’s All True offers a rigorous accounting and analysis of a pivotal American artist whose pioneering work in various media, including film and video, works on paper, assemblages, photographs and photograms, performance, and more, continues to exert tremendous influence on artists working today. The catalogue offers a highly anticipated contemporary perspective on Conner, providing a definitive examination of his output and place in postwar art. It features a wide range of artworks and ephemeral materials never before published. Original scholarship is provided by editors Rudolf Frieling and Gary Garrels as well as curators, historians and artists including essays by Stuart Comer, Diedrich Diederichsen, Rachel Federman, and Laura Hoptman as well as contributions from Michelle Barger, Kevin Beasley, Dara Birnbaum, Carol Bove, Stan Brakhage, Will Brown, David Byrne, Johanna Gosse, Roger Griffith, Kellie Jones, Christian Marclay, Greil Marcus, Michael McClure, Megan Randall, Henry S. Rosenthal, Dean Smith, and Kristine Stiles.